Creative writing - or creative accounting? So wrote Bookfiend73 in response to Rachel Cusk's article "in praise of the creative writing course", which ran in the Guardian on 18 January and which generated a lot of chat, the old-fashioned variety as well as e-chat. It is, I think, a fair point - though it has to be said that a frighteningly tiny percentage of "writers" can live by the word alone, about 10 per cent according to various Society of Authors' surveys; maybe fewer all the time. Bookfiend73 may not know that, for there is a general assumption that those lucky enough to make it into print make a more than decent living. It's certainly what I thought, 30-odd years ago, when I got to know, up close and personal, a real live author, my first apart from my professors, whose rarefied musicology had a higher purpose entirely. And it's certainly what all those media reports about first novels being sold for six-figure sums and self-published authors who've sold gazillions - the standard-bearers for Amazon's various programmes who occasionally get picked up by mainstream houses - inevitably suggest. Much the same impulses lead many to sign up for writing courses. For years, Arvon has sought to "discover and develop the writer in everyone" on residential courses which are "open to everyone and where everyone is welcome whoever you are". Grants are available, and some 20 per cent of participants receive some support. I've no idea what percentage are later published - but a tiny minority. Some, like Prue Leith, who'd always written but who was changing tack, go to refine their craft; others to learn new skills, the better to set down that family memoir; still others for the pure pleasure of writing. Good for them! But the problem with the writing courses that have proliferated over the last few years is that, overtly or otherwise, they play on the belief that many have - that with a little help from the right people, getting published is easy; and that if their book is out there, readers will buy it. Anyone who's been involved in the book trade knows how frighteningly few copies many novels (and much non-fiction) actually sell. And while it's always been the case that innumerable people aspire to writing a novel ("when I have more time"), the apparent ease with which one can now self-publish in print (still jolly pricey) and via Kindle (an easily accessible entry cost) is encouraging more people to give it a go and thus fuelling demand for courses. But unlike painters and musicians for whom the pleasure comes from participation, Sunday afternoon scribblers seem to feel that proper publication is their due. 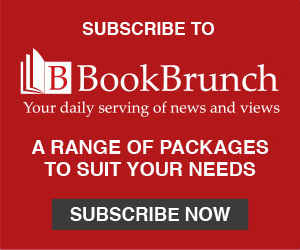 Publishers (few of whom now accept unsolicited manuscripts) and agents (many of whom are also reluctant to read the slush pile, making one wonder how they hope to find new talent), all increasingly fixated on a small number of big names, have spotted an opportunity to boost bottom lines battered these past two decades by a toxic combination of high advances, high discounts and high returns: the would-be writer. The result? Major agencies and publishers are happy to tart for custom, almost entirely cynically. Penguin has done it by acquiring a vanity publishing company. There is, surely, a conflict of interest. Faber, via its Faber Academy, Bloomsbury via its ownership of The Writers' & Artists' Yearbook, and Curtis Brown, via Curtis Brown Creative, are all offering a "suite" (like "curate", a much-overused word) of courses for those seeking to write and be published. So too the Groucho Club and, of course the Guardian, whose range of Masterclasses averages £300 and includes "Writing your first novel" by an "acclaimed novelist, short-story writer and journalist" whose own novels are overwhelmingly available only in Kindle Editions, as well as courses on food and travel writing. Fields in which there are so many opportunities for new writers! The loss-making media group is currently also offering travel photography, self-publishing your own photo book, and blogging, as well as pitching your book. It's surely not unreasonable to think that the prerequisite for teaching any of these courses should be that you have experience as a practitioner. Shockingly this is frequently not the case. The aforementioned Bookfiend73 would be aghast to discover that there are teachers of creative writing unpublished by bona fide publishers who would have opinions on what constitutes what Cusk calls "publishable standard" (though standards are often sadly lacking even in venerable houses). Faber Academy offerings include "Fiction: The Basics" (£425), "Writing a Novel", a six-month distance learning course (£2,800, instalments available; £500 if you're outside the EU), and "Poetry and Inspiration: A Muse Boost", which includes an hour's lecture by Andrew Motion (£425). It takes place "at Faber and Faber's inspiring Georgian offices". Writers' & Artists' makes a similar pitch: "How to Hook an Agent " (£129) is "held in the historic literary surroundings of Bloomsbury at Bloomsbury Publishing, home to authors including Margaret Atwood and J K Rowling, this is your chance to get noticed". Anyone wishing to breathe longer of this rarefied air can enjoy a special-rate stay at the Academy Hotel, "just two minutes away from Bloomsbury Publishing, just a whisper away from the British Library and the British Museum and only a skip and a jump from the shops and attractions of the West End". At Curtis Brown Creative, entry is selective: "For most of our courses, we ask applicants to submit a sample of their writing with their application and we offer places to those whose work we think is the best." The inaugural "Six-Month Novel-Writing Course", which begins on 13 February, is sold out, despite its £2,800 price tag (£200 off for early birds). Tutors include Jojo Moyes, Tony Parsons and Jeffrey Archer, the last-named's presence perhaps something of a double-edged-sword. Over at the Groucho, a six-week screenwriting course will set you back £315, tutored by Kolton Lee, while manuscripts can be "critiqued" (by whom - the doorman?) for upwards of £145. An advanced course, "designed to inspire you", is £395. None of this is to say that the techniques of writing can't be taught. But I'd venture that you can only teach so much: no one wants to listen to a pianist who's merely mastered the notes - you're only a musician if you can interpret them beautifully. Likewise with writing. Of course talent will be - indeed has been - discovered via such courses, but the majority of "graduates" will go nowhere professionally. These courses offer false hope - at a high price. Indeed, one senior trade figure whose company is heavily committed talked to me recently of "loads of lovely money" from people who "haven't a hope". More people are writing than can ever be published, just as more people are studying for publishing degrees than can ever attain a job in publishing. They also offer regular employment to all those writers (not necessarily novelists) who can't make a living from writing. I've never agreed with that old adage "those who can do, and those who can't teach" - but you'd have to admit there's more than a grain of truth in it in this instance. Other more successful authors perhaps participate because they feel obliged to support their own publisher or agent. As Cusk acknowledges: "Writers become teachers for a number of reasons, though need of money is usually one of them." Carole Blake, who's always happy to talk to rookie writers at RNA gatherings and litfests, but whose agency, Blake Friedmann, does not offer writing courses, summed it up neatly for me: "While I'm sure that some of the many available writing courses now on offer are worth the time and their fees, I do worry that so many people and companies are looking for ways to profit from the never-ending queues of unpublished writers wanting to be published. It's an ever-hopeful, never-diminishing number, with few ever questioning their own talent, so they are vulnerable, and ripe for exploitation. Lack of expertise in the topic they are teaching does not seem to be a barrier for the tutors. For example, surely someone teaching a course on how to get published should at least be published themselves? "Buyer beware, every time: check the success rate of people who have previously taken the course, check how qualified the tutor is in their subject. Cynicism is helpful here I'd say. I feel like that about the major publisher who charges for a tour of their offices too. Diversification is a smart tool for business, but some of these practices are dangerously close to exploitation."